Vice President Biden toured a dredging barge on the Delaware River at Penn’s Landing Thursday to show support for the project to deepen the river’s shipping channel. 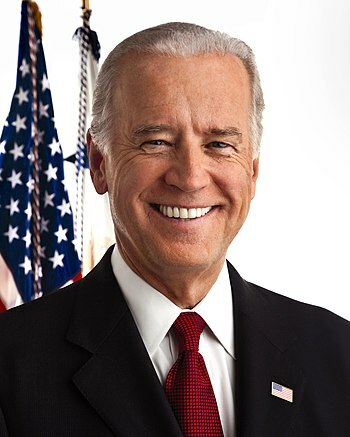 Biden, the latest high-profile politician to visit the region in recent days, was flanked by fellow Democrats U.S. Sen. Robert Casey, Rep. Robert Brady and Rep. Chaka Fattah. Before delivering remarks on the ongoing deepening of the Delaware, Biden and the delegation were led on a tour of the large barge by Brian Puckett, project manager for the Great Lakes Dredging and Dock Co. The vessel’s main feature, an enormous dredging bucket that can haul as much as two dump trucks, immediately caught Biden’s eye. 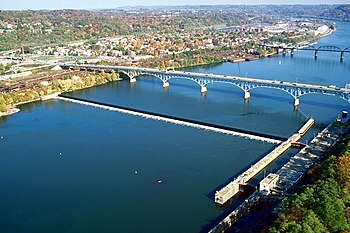 The Allegheny River is poised to see its largest river ice jam in almost 20 years, according to the National Weather Service. “The last time we had a major ice event was January 1996,” said Lee Hendricks, a meteorologist at the National Weather Service in Moon. “There was a lot of ice, primarily on the Allegheny River, and a decent snowpack.” A snowpack forms when snow from the surrounding countryside melts and runs into creeks, rivers and lakes. Hendricks said the region’s extremely cold temperatures won’t break for at least another 10 days, so conditions will be ideal for the same situation to occur. (Updated at 1:13 p.m.) MIAMI — Isaac became a hurricane Tuesday that could flood the coasts of four states with storm surge and heavy rains on its way to New Orleans, where residents hunkered down behind levees fortified after Katrina struck seven years ago this week. Shelters were open for those who chose to stay or missed the chance to get away before the outer bands of the large storm blow ashore ahead of a forecast landfall in southeast Louisiana on Tuesday night or early Wednesday. However, with the exception of some low-lying areas, officials had not ordered mass evacuations. The U.S. National Hurricane Center in Miami said Isaac became a Category 1 hurricane Tuesday with winds of 75 mph. It could get stronger by the time it’s expected to reach the swampy coast of southeast Louisiana. NEW ORLEANS — Finally, there is a wall around this city. 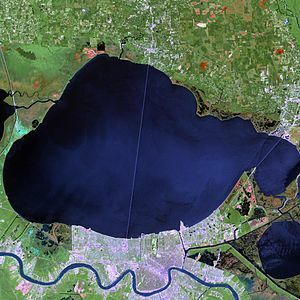 Nearly seven years after flood waters from Hurricane Katrina gushed over New Orleans, $14.5 billion worth of civil works designed to block such surges is now in place — a 133-mile chain of levees, flood walls, gates and pumps too vast to take in at once, except perhaps from space. Individual components of the system can be appreciated from a less celestial elevation. At the new Seabrook floodgate complex, climb up three steep ladders, open a trap door, and step out into the blazing sunlight atop a 54-foot tower that was not here just two years ago. From there one looks out over a $165 million barrier across the shipping canal that links Lake Pontchartrain, the Mississippi River and the Gulf Intracoastal Waterway.